SAT5D: The Neuroscience of “Diabesity"
Paul is one of Australia’s leading exercise physiologists, nutritionists, and neuroscientists, and a Research Professor at The University of San Francisco (USA). 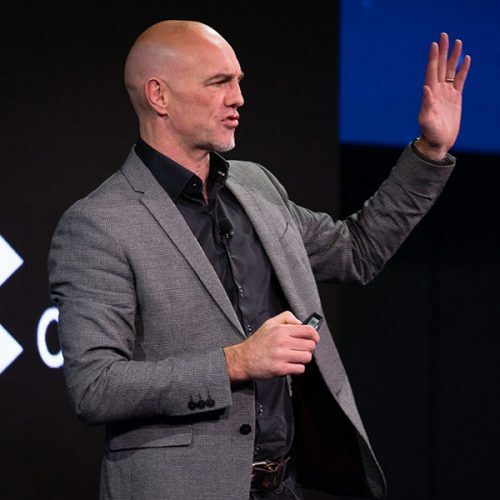 He is the Director of The Body-Brain Performance Institute, where he delivers executive performance and leadership workshops, and in late 2010, Paul opened Australia’s first Body-Brain Fitness gym, Acumotum. Paul is also the founder and director of The Personal Training Academy (PTA), a registered training organisation that delivers fitness education, and he was involved in the co-launch of the worldwide initiative, PTA Global. Paul is a widely published author and the creator of the BioAge fitness testing software, which is used by many Australian and overseas gyms. Paul has a proven track record in leadership, management and dealing in high-pressure situations, through his former roles as an Airborne Anti-submarine Warfare Officer and a Helicopter Search-And-Rescue Crew Member with the Royal Navy Fleet Air Arm, and has undergone rigorous Combat Survival and Resistance-to-Interrogation Training. In 2012, Paul also became a professional boxer.